Yard Signs & Rigid Signs — Cal Signs Inc.
Yard signs are not just for political campaigns. Ever wondered how you could promote your landscaping company as you mow your customer's lawn? Want to be the busiest roofer in town? Just opened up your own real estate firm? 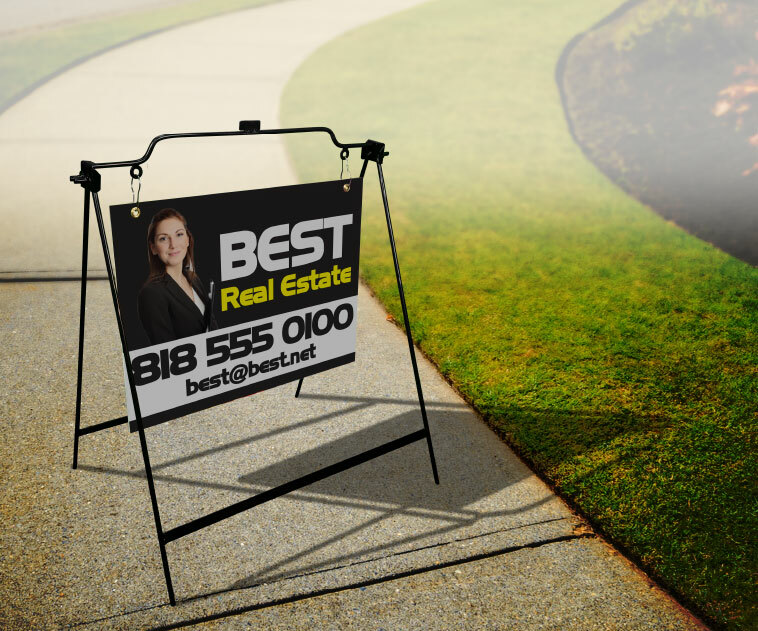 Yard signs are an essential tool for small business marketing. Affordable and versatile, they can help large organizations spread their message consistently and conveniently across the country. We offer the highest quality custom signs made of Coroplast that are sure to catch the eye of every pedestrian and driver. Our water and weather proof yard signs are printed on durable 4mm White Coroplast. They can be ordered in sizes 12"x18", 12.x24. and 18"x24". Don't see the size you need? No worries, we offer custom sizes as well. Please be aware that the corrugated flute structure on our Coroplast Signs results in a very subtle linear effect (faint lines) on the product's surface. Retail stores, small shops and boutiques. Attract foot traffic to your establishment. Past, present, and future photos of Cal Signs Inc. All projects are custom made and fabricated by us.